Celluloid Screams is Sheffield’s annual horror film festival based at The Showroom. It returned this October for it’s eighth year highlighting the best in international horror over the past 12 months. 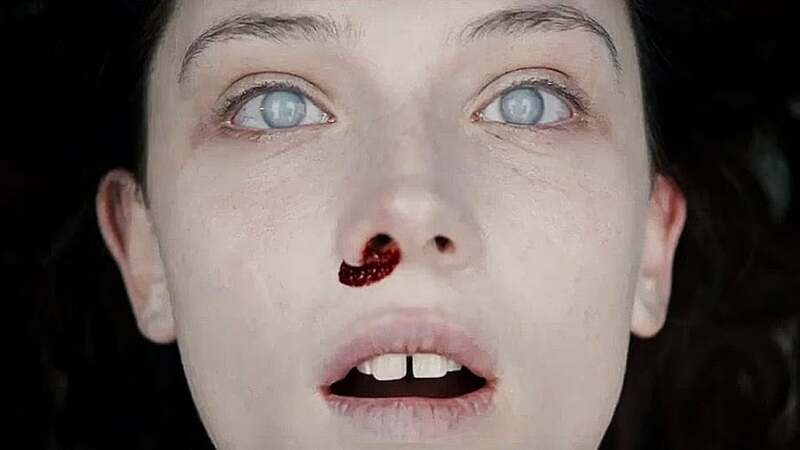 The Autopsy of Jane Doe was crowned the festival’s 2016 Audience Award winner and it’s easy to see why. Billed as the festivals’ ‘Secret Film’ it’s a film that the viewer benefits from knowing nothing about. In a sea of conventional supernatural stories the nature of the horror in this film is left in shadow for a large portion of the film. The opening scene depicts a forensic investigation of a home with three corpses and no clues besides the ominous suggestion that it appears that no one has tried to break in, but someone has been trying to break out. A mysterious half buried body from the basement is then transported to a small family-run morgue where the rest of the chamber piece plays out. With minimal characters and locations the film plays out in real time the journey of the investigation by the father/son mortician duo (Brian Cox, Emile Hirsch) as they discover the dark secrets the corpse holds and the key to the circumstances that lead to our grisly opening scene. You’d be forgiven for interpreting the small town setting and familiar faced actors as revealing a mediocre plot with twists and turns as subtle as a slap in the face. In fact, we are presented with a film that prioritises rising suspense over cheap shocks and a story that unfolds at a consistently unsettling rate. As Jane’s body is dissected, revealing clue upon clue, it is only through this deconstruction that our understanding of the horror unfolding is assembled. As each piece of the body is removed we add another jigsaw piece to the plot as we begin to see the bigger picture coming through. The autopsy itself is gory and graphic and the desecration of the beautiful corpse synchronises with the revulsion the audience feels at the terror it’s presented with. A beautiful mystery has become something disgustingly monstrous. The occasional jump scares you can see coming a mile off yet they still make you jump. In these moments it does feel like the type of generic, American supernatural film that’s become so popular as of late, yet it also feels as if there’s simultaneously something more sophisticated to it. The audience is expected to bring some imagination for the monsters lurking within the dark mortuary, resulting in creatures much harder to criticise or ridicule compared to your average CGI demon. Brought to life by the Norweigen director André Øvredal, the man responsible for “Troll Hunter” his English-speaking debut triumphs as nothing short of theatre. We are presented with a film that prioritises rising suspense over cheap shocks and a story that unfolds at a consistently unsettling rate. André Øvredal's English-speaking debut triumphs as nothing short of theatre.